You're starting to see Sue Barker again and the BBC's Wimbledon theme is starting to play. That means Wimbledon 2016 is upon us. Here at T3 we know how important this esteemed championship is, that's why we've created a guide for those watching at home and for those turning their head from side to side on court. On the gentleman's side; Novak Djokovic is currently holding all four grand slams and looking stronger than ever, although he is certainly the dominant force and man to beat there are a number of other players that shouldn't be ruled out for Wimbledon 2016. Roger Federer is back from injury and will most certainly be hungry for that illusive 18th grand slam title after being beaten in two consecutive finals. His preparations haven't gone smoothly after having his crown stolen in Halle, but the Swiss Maestro always seems to turn out great performances at SW19. Andy Murray has won Queens and is reunited with former coach Ivan Lendl who will most certainly already be drawing out battle plans against the great man from Serbia. Murray has the wins under his belt and the confidence to make it all the way. Nadal won't be making an appearance this year but there are plenty of other candidates to watch from fast serving Milos Raonic to Stan Wawrinka who'll be looking to assert himself as the best Swiss man on grass this year. The women's game is much more unpredictable. Serena Williams hasn't won a grand slam since Wimbledon 2015 and the last three women who've seen success at the big tournaments were new to lifting up grand slam trophies. No Sharapova means the likes of Garbine Muguruza, Agnieska Radwanska and Angelique Kerber are in the running for the Venus Rosewater Dish. The last few weeks of tennis have been very unpredictable with both the French Open and Queens being plagued by rain delays. The Met Office has you covered with a detailed look at the weather for the All England Tennis Club. The English summer is always sunny one minute and raining the next, so bring an umbrella if you're seeing the players in person. The official Wimbledon accounts on Facebook, Twitter and Instagram are your place for highlights, interviews and pictures while you're on the move. Wimbledon also has an app for your smartphone allowing you to get all this in one place. The official Wimbledon site is your hub for everything during the two weeks. Everything from highlights, live scores and player profiles are available. A little gem is Wimbledon's YouTube channel that offers all the highlights and interviews in one place on a great media player. You should also follow the Official Wimbledon Championships 2016 Podcast that features exclusive interviews and reactions to the days action. 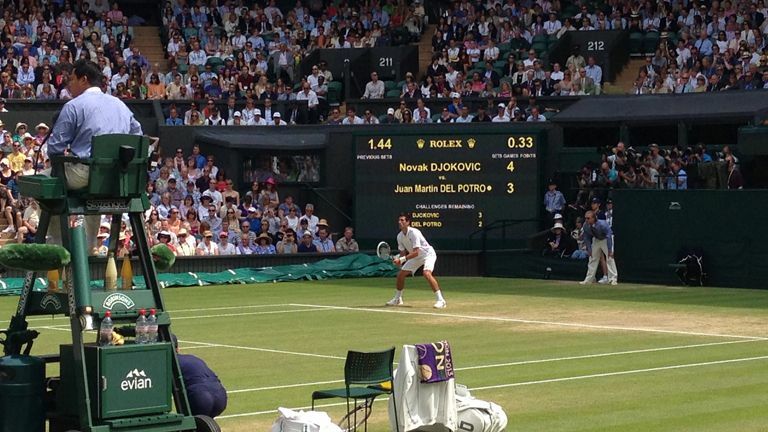 The partnership between the BBC and Wimbledon is the longest in broadcasting history. There are no changes this year. BBC One, Two and the Red Button will be your port of call for all live games. The usual highlights show will take place on BBC Two from 8:30 pm. The BBC Sport website will also have live tennis coverage. Radio coverage will take place on Radio 5 live. Wimbledon 2016 will take place from Monday 27 June to Sunday 10 July. The top seeded players for each are also the ones defending their titles this year.